1. Cancelling your order – this can only be done within 2 working days of placing your order. For specific colour shades we emphasize on our website under the colour chart guide on-line that should you require very particular colours/shades that you send in a sample of your colour to be matched with your order. This service is free and avoids disappointment in most cases. 2) Swatch matching will be done as close as possible, if your swatch was iridescent, pearled or multi toned etc we will match to the predominant colour in it only. 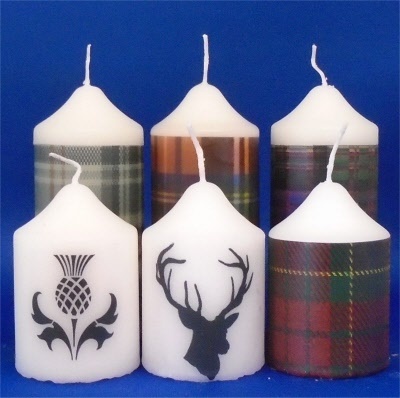 4) If the candles arrived do not match a batch previously ordered then we can not be responsible if you did not send in a sample of the colour to be matched exactly chart matches can be a shade or two out and will be noticeable from batch to batch. If you have ordered a sample colour that you liked and want more the exact same shade you must send one of the samples back for matching otherwise we can not guarantee an exact match. b) If refills are not available for your product then you will need to make a new order and send it in with swatches/samples of the colours you require to be matched more accurately for you. c) Return ONE only of each of the candles you feel are the wrong colour to us with your complete return form (where possible do not send holders). b) You can specify a date your order is required by on your order or up to 2 days after placing your order by email in writing, we will advise you if we can not meet your date. c) Goods can be returned for a refund using the “cooling off” clause if your goods did not meet a date “agreed” with us, this agreement of date must have proof in writing with confirmation from us that we received it for us to validate a claim of this kind. d) If we have agreed a date with you, please allow a day or two either side of this date for carrier problems, providing we have proof we sent your goods to you in time for your chosen date then we deem our contract was fulfilled to you. Please allow a day or two either side of your date for a carrier to delivery, after this you may claim for a late delivery. 4) Any other problem - If you have any problem other than above noted with your customized order then please notify us within 7 days of receipt with the full details we will advise you then on what options are available to you.